U.S. Justice Department attorneys say 463 migrant parents may have already been deported without their children after they were separated at the border, according to court documents filed Monday. [post_ads]President Donald Trump signed an order last month to end separations of children from their families at the border, but hundreds of families have yet to be reunited. Monday's filing indicates many parents may have been deported while their children remain in U.S. immigration shelters. The status report to Southern California U.S. District Judge Dana M. Sabraw, in an update between plaintiffs and U.S. Immigration and Customs Enforcement, said the 463 cases are "under review," and in those cases the adult "is not in U.S."
The report was requested by Sabraw ahead of the Trump administration's 30-day deadline to reunite separated families, which ends Thursday. The judge wanted clarity on how many of the more than 2,551 parents eligible for reunions are no longer in the United States. The government has said deported parents had the opportunity to take their children with them, but willingly left without them. 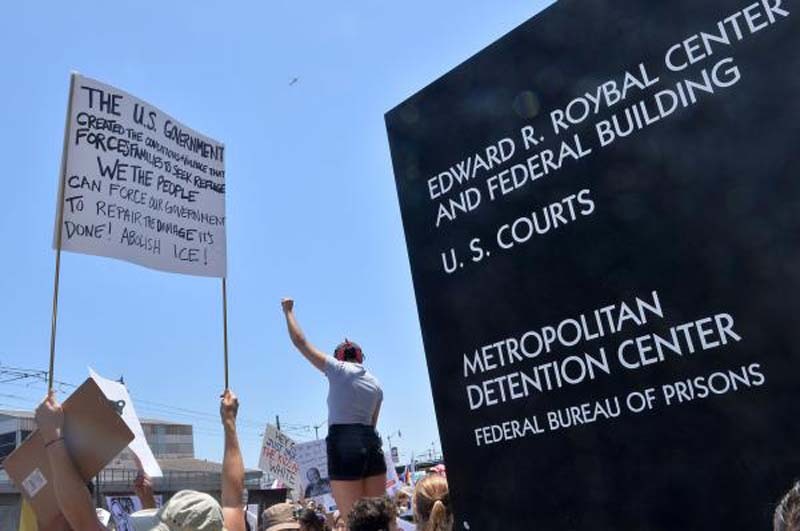 Attorneys and immigration advocates are questioning, though, whether the parents fully understood what they were asked, and are hoping a court hearing Tuesday will provide clarity. "If this number turns out to be as large as the report suggests, this is going to be a big issue for us," said ACLU attorney Stephen Kang, one of the plaintiffs in the case. "We have a lot of questions." Advocates argue that migrant parents have been pressured and, out of desperation, signed deportation forms to be released from custody once their sons and daughters were sent to government shelters. "We have concerns about misinformation given to these parents about their rights to fight deportation without their children," Kang said, who added that finding separated family members in Central America would be challenging and time-consuming. The filing Monday said the government has reunited 879 separated families, and 538 parents are cleared to reunite with their children and are awaiting transportation.